Belgium’s Nafi Thiam was named female World Athlete of the Year at the IAAF Athletics Awards in Monaco on Friday 24 November. Nafi became the first European to claim the women’s award since Croatian high jumper Blanka Vlasic in 2010 and only the second heptathlete in award history after Jackie Joyner-Kersee in 1994. The Geography undergraduate began her season by claiming gold in the pentathlon at the European Indoor Athletics Championships in Belgrade where she set a world-leading total of 4870. In August she continued her title haul at the IAAF World Championships in London with gold in the heptathlon with a solid 6784 score. 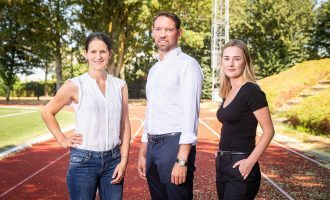 But the standout performance of her season came at the Gotzis Hypo-Meeting in May where she became just the fourth heptathlete in history to score over 7000 points. The 23-year-old moved to third on the world all-time lists behind Joyner-Kersee and Carolina Kluft with a score of 7013. Thiam set five outdoor lifetime bests – and a national javelin record of 59.32m – across those two days in Gotzis and also equalled her lifetime best of 1.98m in the high jump.